Friday Night the 24th is our Gypsy Cafe Mardi Gras Dinner. 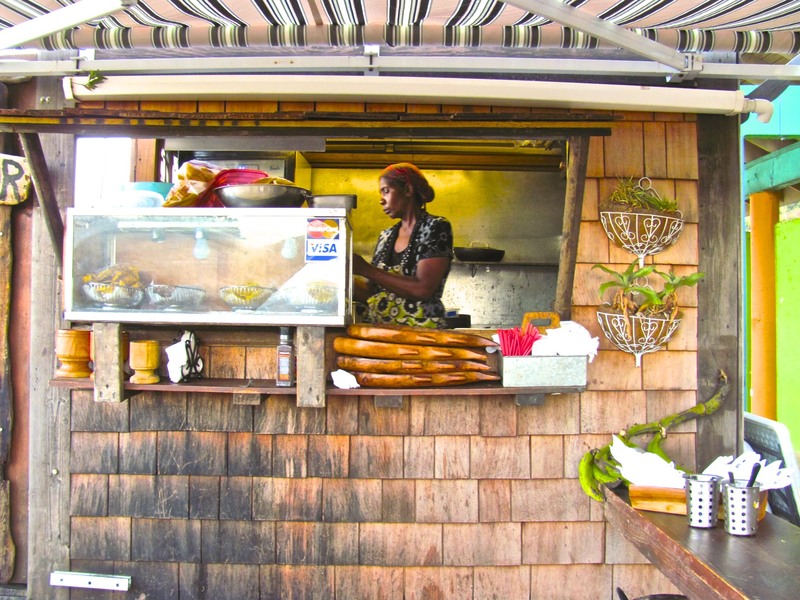 I remember having the best Shrimp and beans and rice in Puerto Rico at the little beach stand in this photo. This woman could cook.